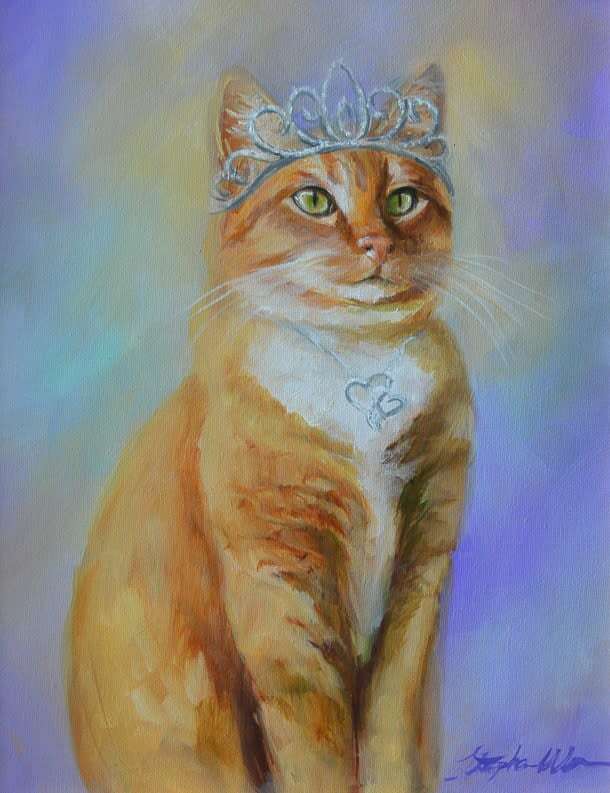 I had thought about creating a series of cats with crowns and jewelry for some time; the pose of this cat warranted a crown. I had thought about creating a series of cats with crowns and jewelry for some time; the pose of this cat warranted a crown. She rules the house and demands attention from her subjects when she wants it and dismisses them when she is ready. I had thought about creating a series of cats with crowns and jewelry for some time. 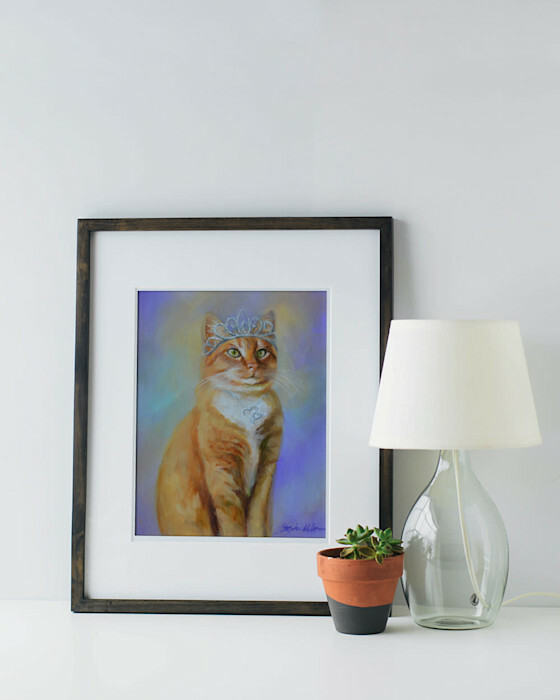 The pose of this cat warranted a crown. She rules the house and demands attention from her subjects when she wants it and dismisses them when she is through.